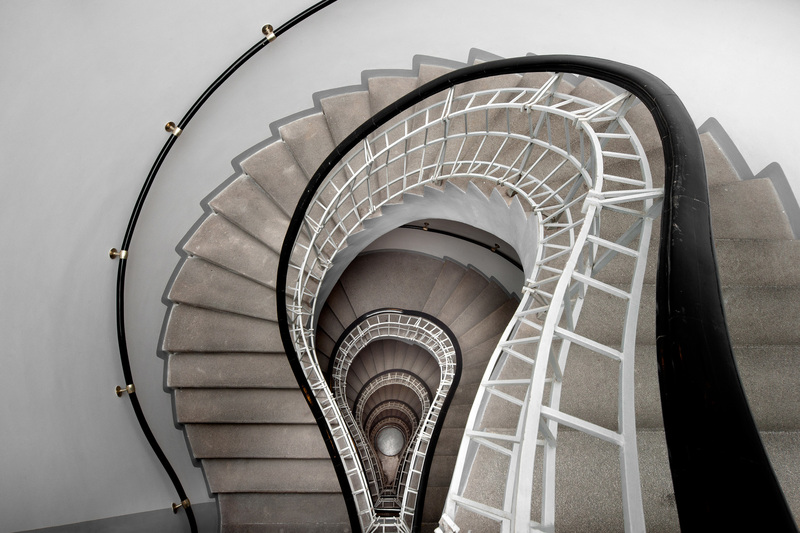 A masterpiece of Czech Cubist architecture, the building was constructed from 1911–1912 according to designs by the Czech architect Josef Gočár. 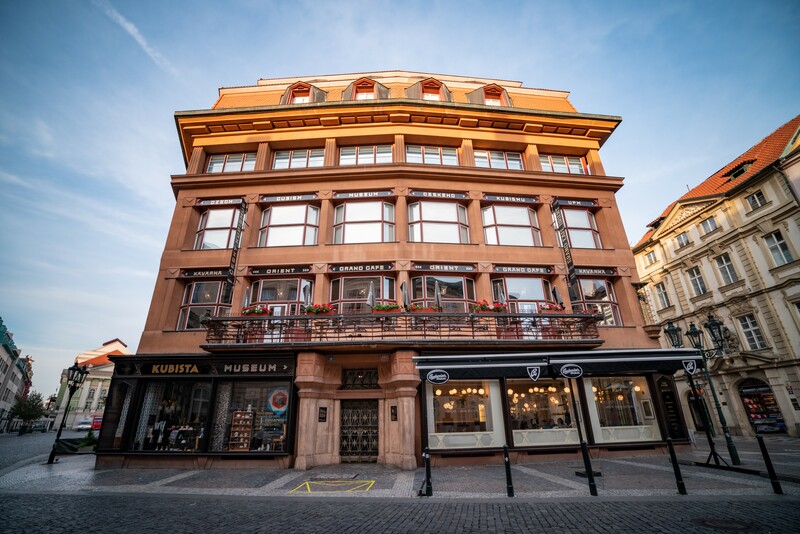 It's located in the Old Town between Celetná Street and Ovocný trh. 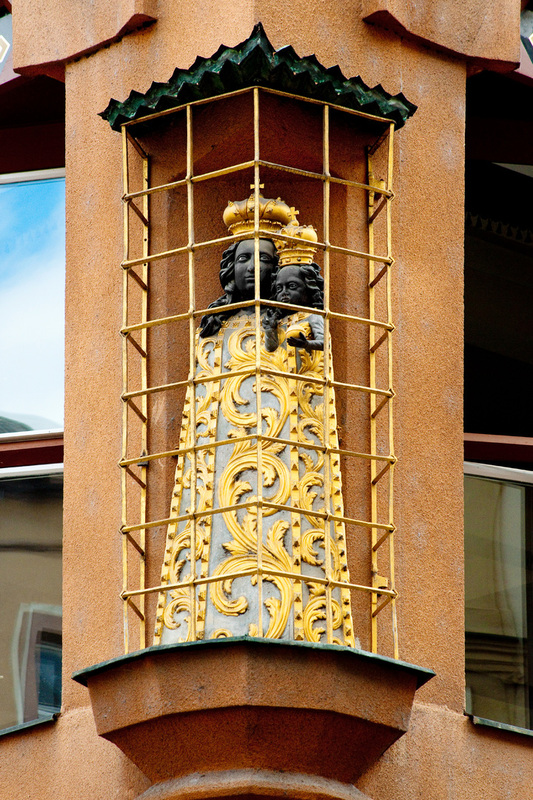 Its name comes from the Baroque statue that is located on its corner. 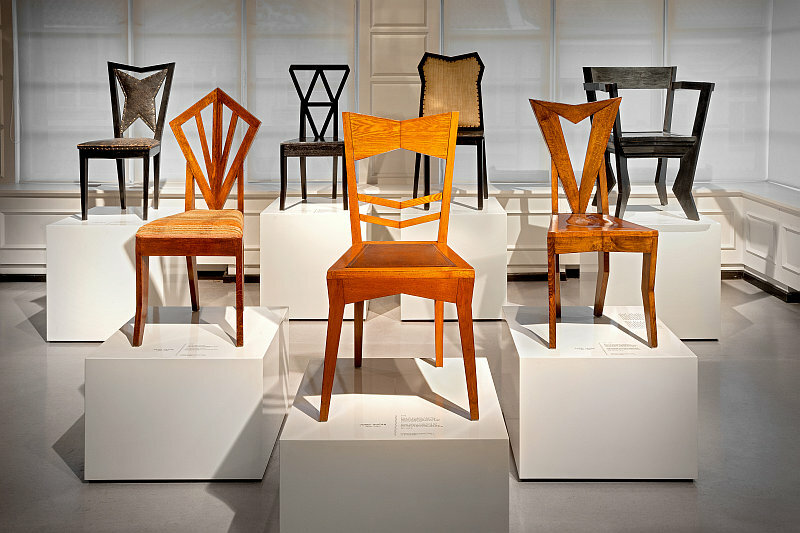 After a complete renovation the building has become home to a Museum of Decorative Arts exhibition about Cubism. During the years 1993 - 1994, the house went through a complete reconstruction according to a project of Karel Prager, and it was returned into the original state. Using a special paste helped to relieve the house of the unsuitable coating and according to the preserved documentation, a part of the glassed-in roof was completed, which was not realized in Gočár’s project. In 2000, a carved polychrome copy of the statue of black Madonna from the studio at the Academy of Graphic Arts was installed on the house. 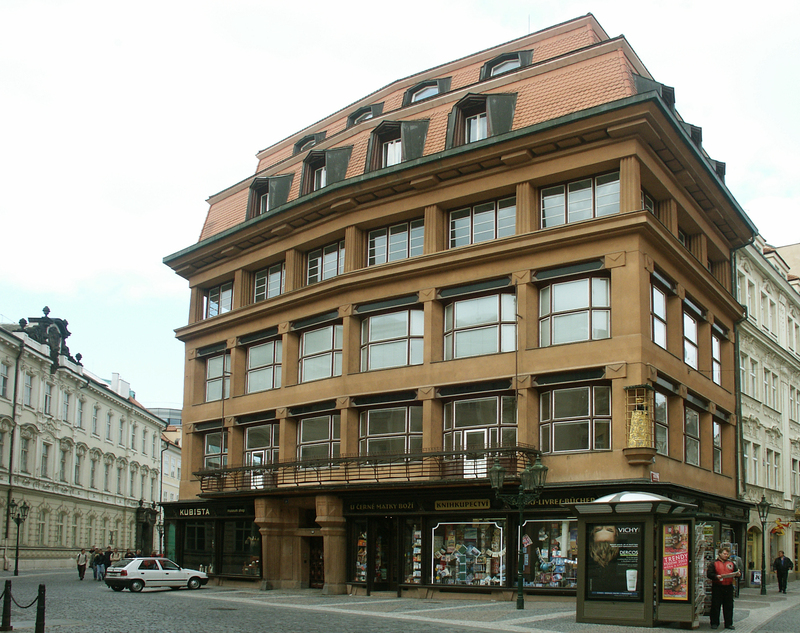 In 1994, the Czech Museum of Graphic Arts became the administrator and user of the house and opened here a permanent exposition of Czech Cubism during the years 1911 - 1919. This exposition aimed at presenting Cubism as a complete lifestyle, and also touches on architecture (plans, projects, and photographs), painting, sculptures, as well as utility arts. Among the interesting exhibits, there is for example Gočár’s sofa from 1913. Czech Museum of Graphic Arts closed the exposition in the House at the Black Madonna on the 30th January 2002. Museum of Czech Cubism was re-opened after reconstruction on the 28th November 2003 by the National Gallery and was closed on 2nd September 2012.